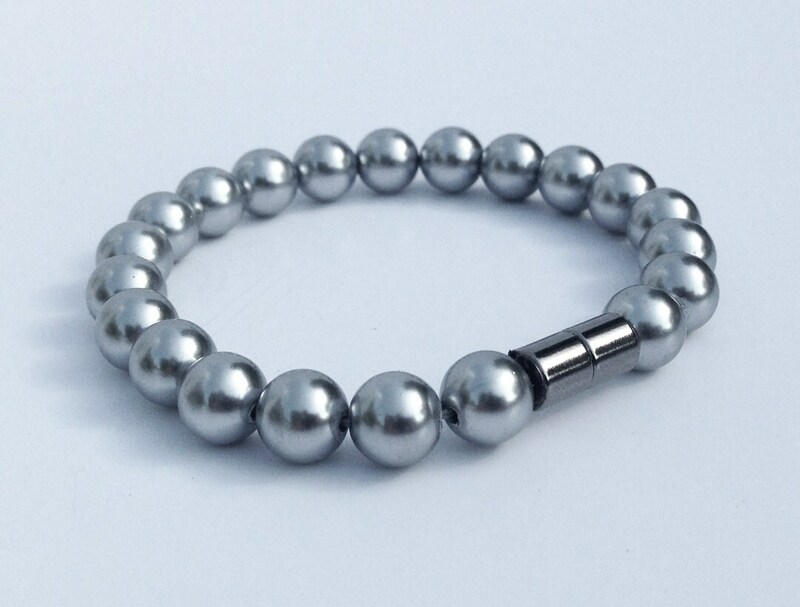 Magnetic hematite bracelet with a pearl finish. The color of this bracelet is an incredibly gorgeous soft silvery grey. So velvety glamorous. 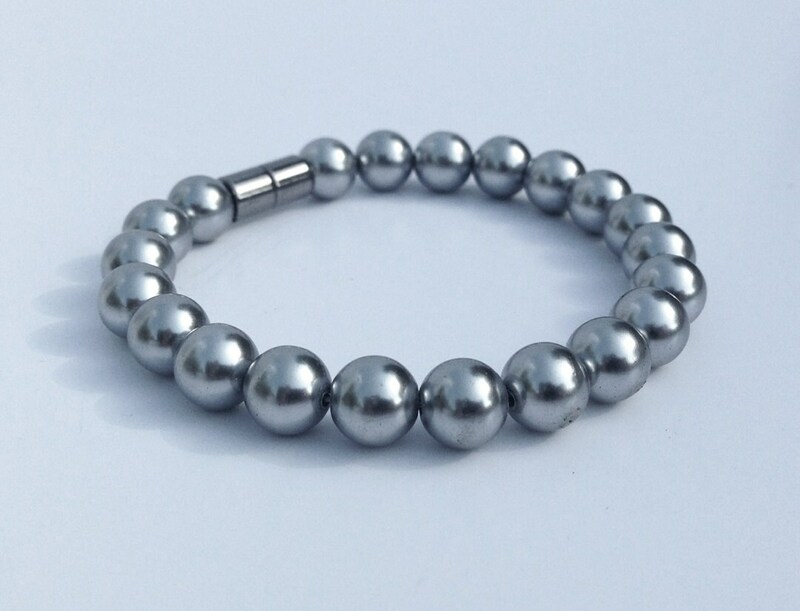 The bead size is approximately 8mm and the entire piece is magnetic. This bracelet is a wonderful match for the necklace. The quality is excellent & the color is beautiful.